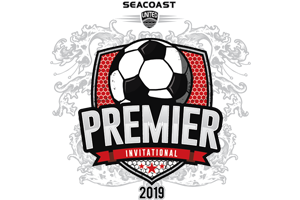 The 14th Annual Seacoast United Soccer Club Premier Invitational will host 80+ teams during each of its two weekends from throughout the Northeast Region with a strong reputation for player development, fair play, and success at state, regional, and national levels. The event will take place at the Seacoast United Outdoor Complex in Epping, NH and Seacoast United Sports Park in Amesbury, MA. The Premier Invitational is designed to break away from typical group play / elimination type events and is especially geared towards creating a friendly match type environment for young soccer players to enjoy, learn, and grow through playing on beautiful fields against solid competition. Each team will receive three games with the opportunity to advance to playoffs. Applications for the 2019 SUSC Premier Invitational will be submitted online through GotSoccer. Any teams registering as US Club teams must provide proof of insurance at check-in. Please help us in following a few rules to keep our Outdoor Complex a clean and safe environment for all. Click here to view the rules, and we strongly encourage you to share these with your team. Event schedules, field information and tournament updates all in once place! The Seacoast United Tournaments app for iPhone is available on the App Store. For Android devices, download the app on Google Play.